The best way to attract more interest and find a buyer when selling your motorcycle is to write a proper advert. Whether you’re listing your bike on eBay or Gumtree or taking out an ad with BikeTrader or sticking a note in your local corner-shop window, the same principle applies: make it easy for the buyer to make a decision. First things first, a bit of prep before you write the best motorcycle classified ad that’s ever been written. Give yourself an hour or two to go around the bike and give it a mini service as well as a good clean. You can adjust things like the chain, the clutch play, the tyre pressures – all the usual things that we never get around to doing but they’ll help the bike look and feel right to any potential buyer. At an absolute minimum, you should wash your bike before you take photos. Consider a valet. Mobile motorcycle valet services charge around £100 and can do an amazing job of bringing your bike back up to its former glory. The price of the valet alone can boost the resale value of your bike and at the bare minimum, you’ll recoup any money you shell out for a valet by presenting a bike that a buyer’s going to want to snap up straight away. Does it really have a full service history? If you had it dynoed and you want to mention it, do you have the paperwork? Is the MOT to hand or is it in the inside pocket of one of your 5 biking jackets? Going over the paperwork to check it’s in order and familiarise yourself with the bike’s history is a great idea as you’ll be able to pull out all the best bit to put in your advert. These are the three most important items that buyers have said they look for when scanning the classifieds: Full Service History, Low mileage and Price. Other factors that are important are things like: the exact model and it’s age, the number of previous owners, the length of MOT (if applicable), if it’s ever been involved in an accident and what non-standard parts are fitted. A picture paints a thousand words and never has this been more true than when it comes to selling your motorbike. 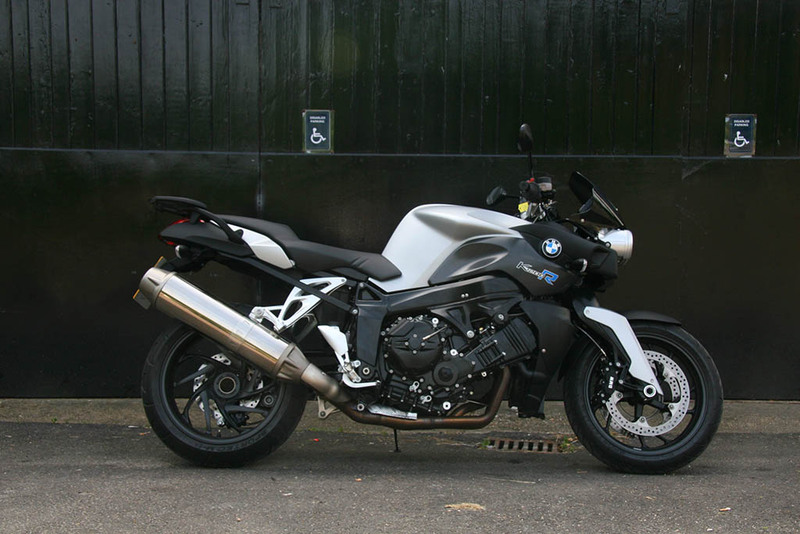 If you take a photo of it in it’s usual commuter state, wedged into a motorbike parking bay with a load of other bikes cluttering up the shot, that’s hardly going to entice a potential buyer – even if you’re being honest, you need to sell the bike. Take more than one photo – aim for at least 5. In this day and age of brilliant camera phones, there’s no excuse not to have decent photos. We’ve all skipped over classified ads with only one picture in, so what makes you think people will react differently to your advert? They won’t. Also make sure you show the bike from all angles. We have seen so many classified ads where there are 10 photos, all of them just slightly different shots of one side of the bike. It’s not rocket science, is it? List all the important elements of the bike, ordered with the most important first. Within 10 seconds the buyer needs to know: What the bike is, how much you want for it, how many miles it has covered, what the service history is like, how many owners it has, what modifications it has. After that, they’re in a good position to make a decision – call you up or move onto the next bike. If you want to list the service history of the bike, go for it, but keep it separate to the main summary above. A list of services and any parts fitted will give any potential buyer confidence that you take good care of your bike. For example, if you’ve fitted a hugger to protect the rear shock from road grime, mention it. If the mileage is slightly higher than the others and they’re all motorway miles, that’s worth turning into a sell – as a city-commuter with lower mileage will have had a harder life. Because you’ve spent time digging out your bike’s documents as discussed above, you’ll have all the info you need. If the bike has been damaged and repaired, declare it, don’t try and hide it. If there are a few marks on it, don’t describe it as ‘mint’ but perhaps mention that, ‘aside from a couple of little marks, the bike really is mint’. If there is damage, then take a photo of it and put it in the advert. A potential buyer is much more likely to engage with an advert that they feel is being honest. Let’s face it, you’re going to massively inconvenience someone who’s travelled 100 miles to come and see your ‘mint’ bike only for them to stand there, bewildered at all the little scuffs on the fairing. If you’re not honest, a buyer will walk away – rightfully annoyed at you for wasting their time. Or the buyer might use your dishonesty against you and try and beat you down on price – the result? You’re wasting everyone’s time. Do your research and see what others in the market are being listed for as the perfect motorcycle, priced badly won’t get much attention. However it’s important to remember than 85% of vehicles listed on classified sites are being sold by the trade, not by private sellers like yourself. Therefore take into account that their bikes will be more expensive, because they’ve got overheads to pay and profits to make. So what? You might think that doesn’t change anything but buyers prefer the reassurance of buying from a dealer, who may offer them finance or a warranty. Don’t underestimate people’s need to feel secure – a cash purchase like a motorcycle is a risk and a bricks and mortar dealer offers reassurance. So make sure you check out what private sellers are listing their bikes at and remember – they’re not always being sold for that price. A good indicator is to use eBay’s ‘completed listings’ function to see what similar bikes to yours have sold for. When it comes to pricing, remember that most people use the web to search for their next bike and the pricing structures of classified listing websites are worth bearing in mind. If you think your bike is worth £5,150, then you’ll immediately cut-off people who have limited their search to £5,000 and if every similar model is listed around £4750 then no-one’s going to see your ad. Also, some websites have a funny pricing structure. For example, they may have £5,000 – £6,000 and the next tier up is £6,000 – £7,000. In this case, pricing your bike at £6,000 would get seen by both sets of search criteria. Of course if you think your bike is worth £6,500, you don’t want to price it at £6,000 but if you think it’s worth £5850, it might get more views if you list it for £6,000. If you’re selling your bike, an HPI check will give a buyer more confidence. Sure, you could let them pay for one themselves but the £20 spent on an HPI check could help you get a faster sale and a better price. If you’re looking at buying another motorbike after you’ve sold yours, then you can take out HPI check packages, where you get 3 checks for not much more than the price of one, so why not use one of your checks to check your own bike and use the results as a sell in your advert. Be clear, be honest, take good photos and set a realistic price. Your advert will stand out and you won’t go far wrong. Good luck!